When your business is affected by water damage times matters and water damage experts can help. Regardless of the amount of water, time is of the essence in dealing with commercial water damage and because disaster never sleeps, Ally1 is available 24 hours a day, seven days a week. One of our top priorities is to save your business time and money with quick and efficient drying. We use the most state-of-the-art technology and equipment including TES, the world’s fastest drying system. We treat all of your belongings with the utmost care and respect and work the help ensure they are restored to their pre-damage condition. 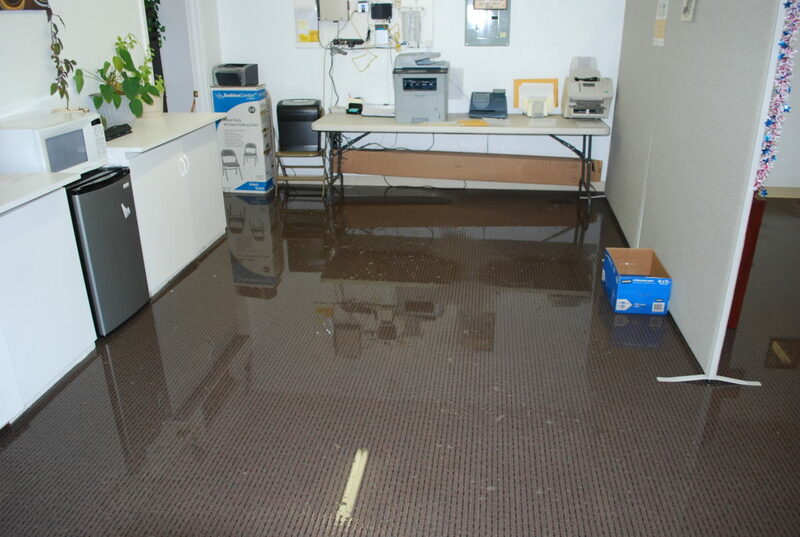 Water quickly seeps into flooring, walls, furniture, even important office papers causing huge amounts of damage. We understand that preventing further damage is critical to saving you additional expense and get you back to business as quickly as possible. Our emergency response service guarantees that our certified and professional technicians will be at the site immediately. Ally1 has over 20 years of experience and is one of the most experienced and trusted water damage companies in Southern Utah. Ally1 works directly with all insurance companies to help make the process easier on you.